Come Spin to Win at the New England Pizza Conference, June 25 in Haverhill, MA! 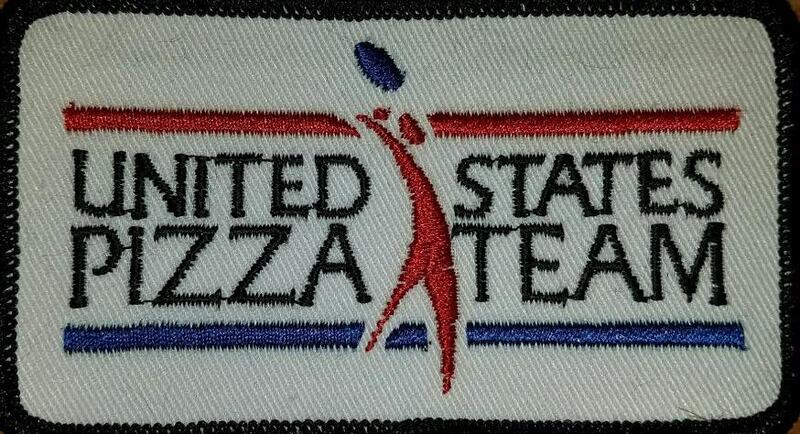 Open to all Acrobatic competitors, the U.S Pizza Team will be hosting the 2019 Summer Acrobatic Trials. Events will include Freestyle Acrobatics, Largest Dough Stretch, Fastest Pie Maker, and Fastest Box folder. 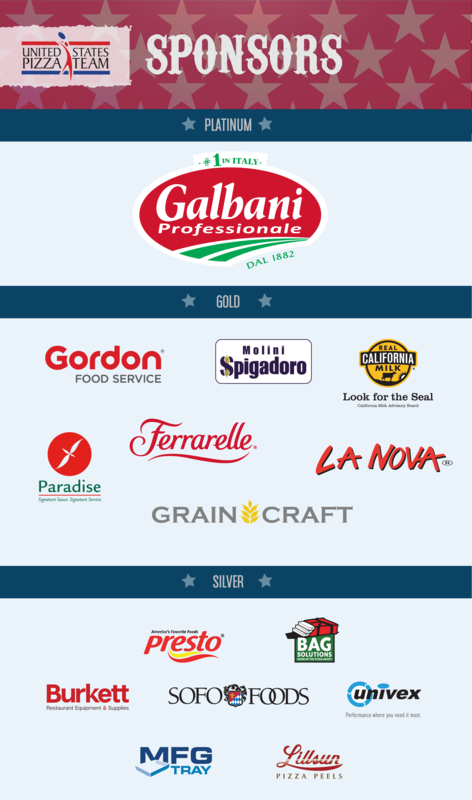 Grand Prize for Freestyle is a chance to compete in London at the European Pizza & Pasta Show, November 13-15, 2019. Spots will be limited so sign up today to earn a chance to represent your pizzeria and hometown! Be sure to let your customers know to watch you compete LIVE on ESPN 3!! Register Below! For payment options or more information about this event, please contact Brian Hernandez at brian@pmq.com or 662-234-5481 x129, or Brandy Pinion at brandy@pmq.com or 662-234-5481 x127. 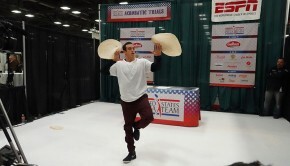 All competitors are welcome to compete in the 2019 Summer Acrobatic Trials on June 25th, at the New England Pizza Conference in Haverhill, MA, regardless of team affiliation. Team jerseys will not be allowed while competing. 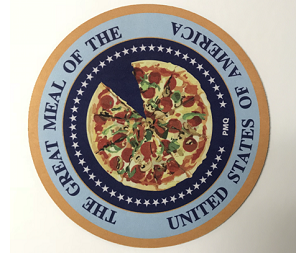 Only logos for your pizzeria and that you have the rights to display on live TV and Streams. This event is designed to help bring more publicity to individual pizzerias. 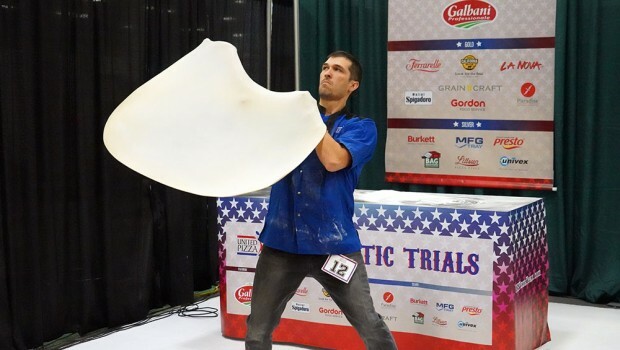 All competitors are welcome and any freestyle acrobat competing will be eligible for the grand prize trip to the European Pizza & Pasta Show in London, England. Dough cannot be torn, holes can be repaired within the five-minute time limit. If dough touches the ground, the competitor must move to the ground to finish stretching the dough. The dough must be round or oval, no other shape will be accepted. 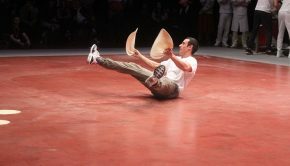 The competitor is not allowed to kneel on any part of the dough while stretching it. Two measurements are averaged, the widest diameter of the dough plus the perpendicular measurement of the widest diameter.